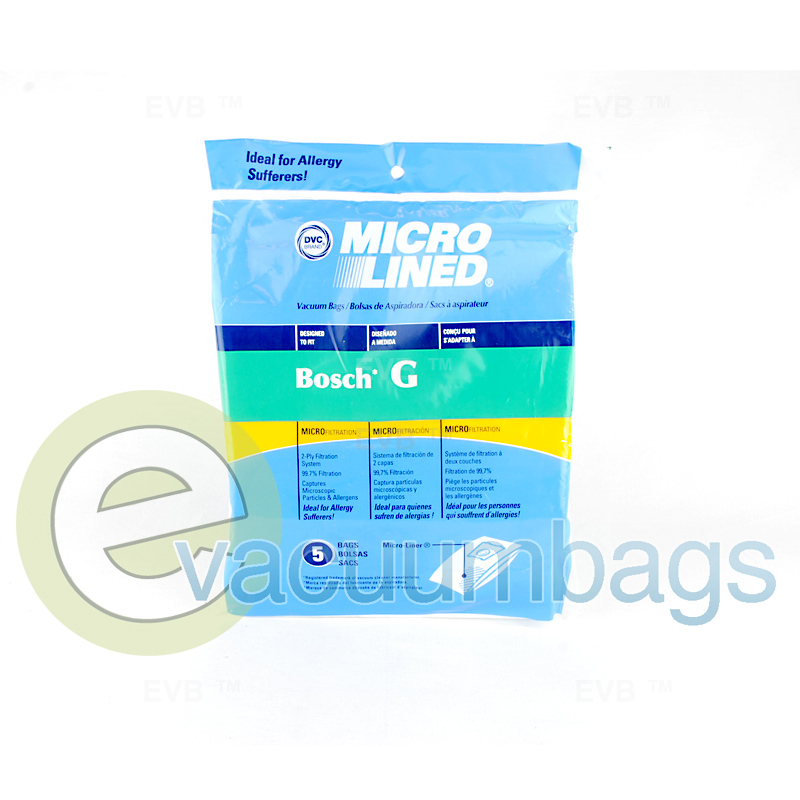 Generic paper vacuum bags, manufactured by DVC, designed for Bosch model vacuums using type G bags. 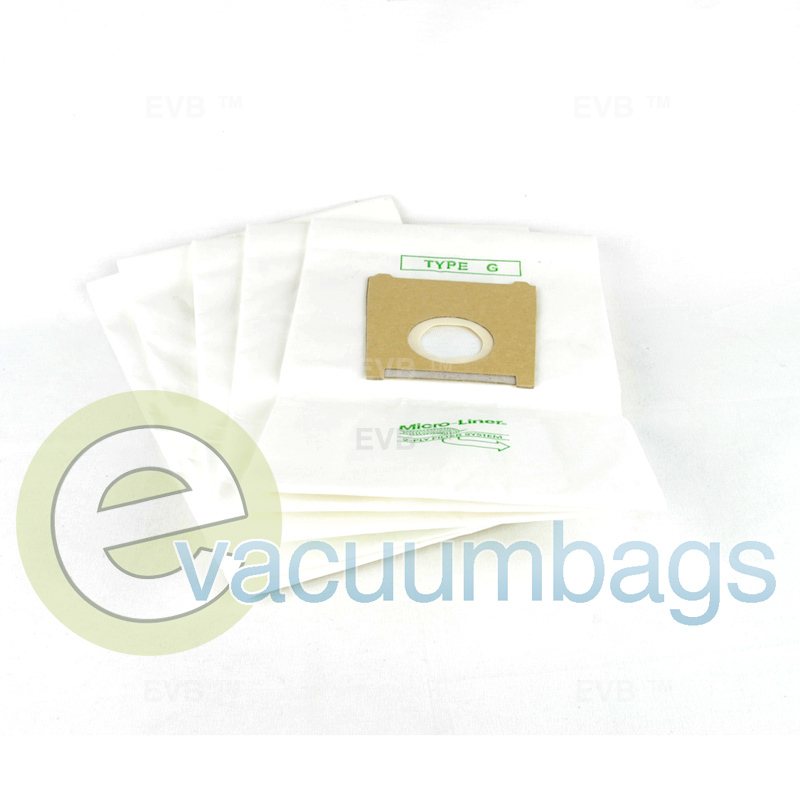 DVC bags are micro-lined with a 2-ply filtration system for maximum protection and filtration. 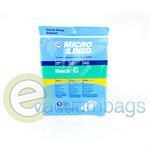 To maintain peak vacuum cleaner performance and clean ability, always use vacuum bags made with micro-liner. 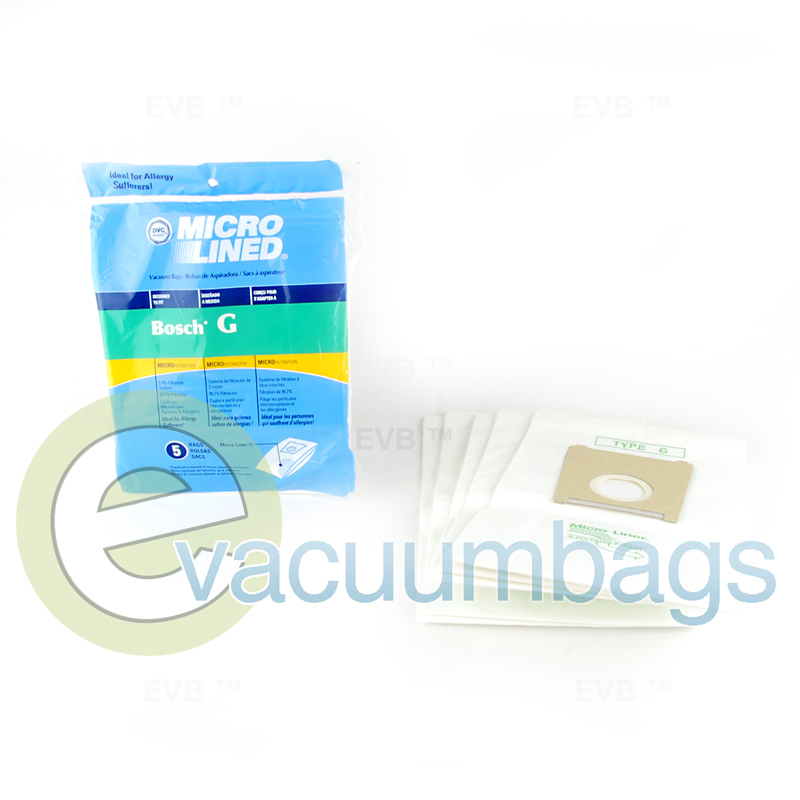 Electrostatic micro-liner captures a wide range of dust particles including many pollens, spores, bacteria, dust mites, and allergens. Change your dust bags when they are 2/3 full. When vacuuming fine particles such as powered, plaster dust, etc., change bags more frequently. 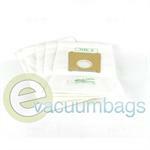 Do not reuse or overfill as a loss of cleaner suction and/or bag breakage may occur.